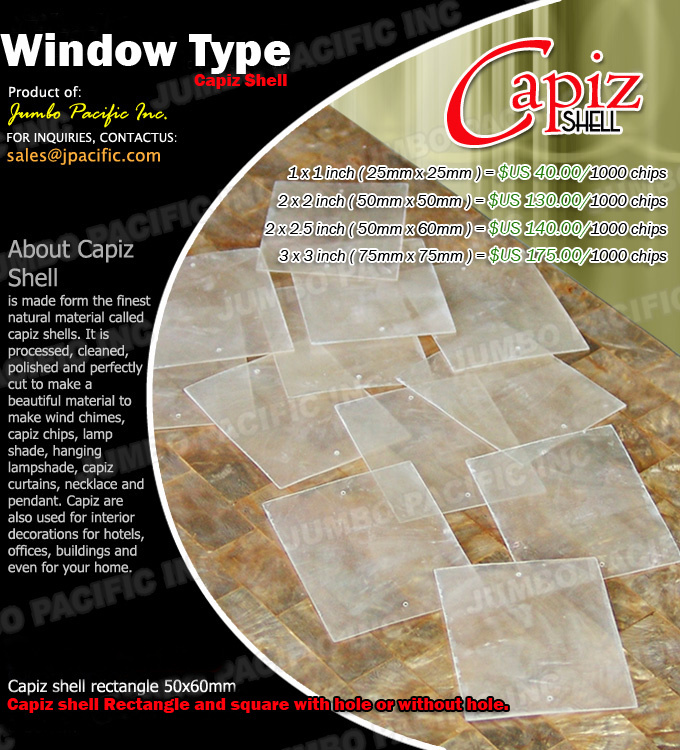 Description:50x60mm Window type rectangle or Square capiz chips with hole or without. Available in any colors and shapes. 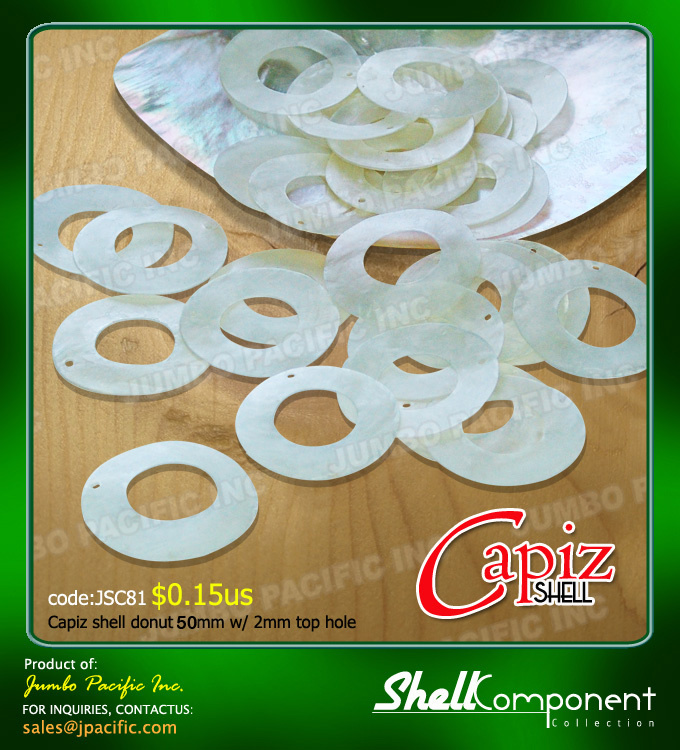 Description:Capiz chips 50mm diameter in donut shapes with 2mm top hole. Available in any colors and shapes. 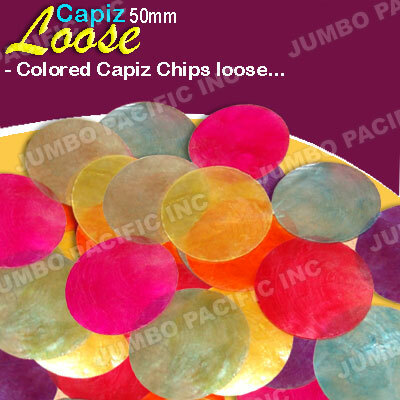 Description:Colored Capiz Strand 2.0 inch (50mm) diameter - 1.5mm hole IN 10 feet (3.05meter) long = 51 Colored CHIPS attached one after the other equally on nylon with extra 15 inch nylon at the end (more available on demand)., Each strand packed individually in a transparent polybag.